I’m sitting in Doppel’s noisy, top floor Bermondsey, London HQ getting my first taste of empathic wearable tech. 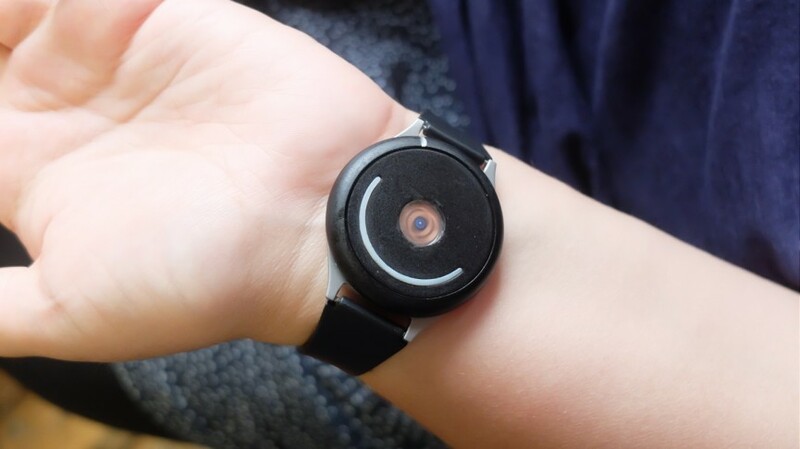 Wearing the smartwatch-shaped device, crowdfunded to the tune of £110,000 on Kickstarter last year, I was able to try out two different pulses/vibrations on the inside of my wrist. One to calm me down, one to energise me. 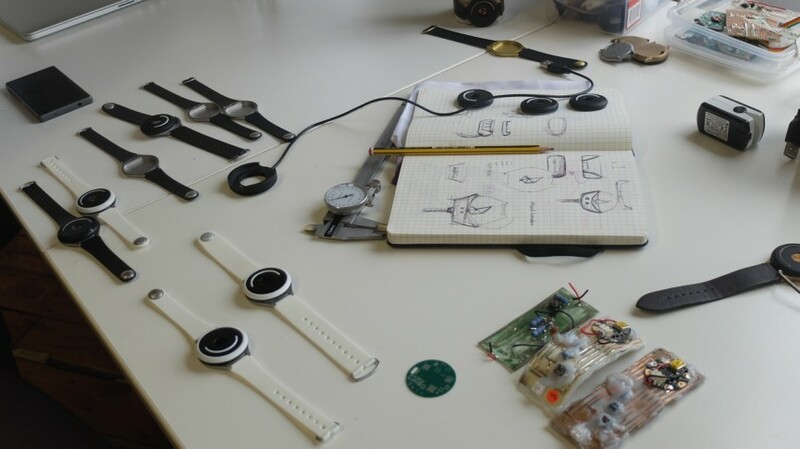 As co-founder and commercial director Jack Hooper explains while messing with my micro moods, the wearable is based on research into psycho-physiology, an area in which London has become a hub. (The four co-founders met on the Imperial and RCA joint Innovation Design Engineering course). Doppel’s tagline is “set your pace” and it’s refreshing in a sea of health and wellbeing wearables which monitor your stats, spit out data and offer little by way of lifestyle suggestions. Doppel doesn’t show you a graph of how stressed you are, it calms you down. Anyone who has switched to classical/jazz in the evening or created a pumped up running playlist knows the effect of rhythm on their energy, focus and mood. This is the same idea minus noise and minus distraction. So why now? “A lot of the science we use is very current, it’s very new,” says Hooper. “Just recently a lot of work has been done in this area of psycho-physiology. People have only just started to understand how our bodies affect how we feel. The device itself is worn with the main module on the inside of your wrist – it’s light and comfortable to wear and the actual sensation of the vibration is noticeable but not annoying. The slow, calming beat does, as Hooper describes it, feel like my own slow(er), calm(er) heart beat. The 120bpm rhythm, on the other hand, leaves me feeling part energised, part stressed out. I talk faster and louder after just 30 seconds or so in that setting. This is, in fact, the default ‘focus’ rhythm that was used in a trial of Doppel at Royal Holloway University. In the test, participants who reported positive feelings towards the device, which they’d worn at this setting for one minute, experienced half as many lapses in concentration during a reaction time task as participants who didn’t use the wearable. In lab terms, Hooper says that’s doubling focus which is a pretty compelling answer to the ‘why use a wearable?’ question. 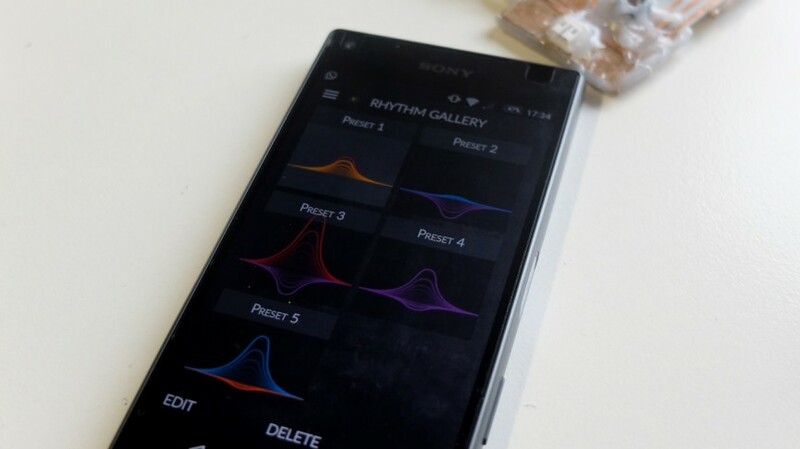 The app we try out isn’t the final software but shows how you’re able to tweak presets of paired rhythms – one slow, one upbeat – before choosing which one to load onto the device. The touch controls are intuitive too- scroll around the surface to access the calm beat, double tap to start the uptempo one. You can turn the device off when not needed and Hooper says most people will get “days of use, plural” in between charges out of Doppel. Shipping the Doppel to the 820 original Kickstarter backers has been pushed back from the original target of April 2016. But the team is on track to deliver in October and posts regular progress updates from China, such as the switch to charging pins and a dock to make the device waterproof. As well as Doppel’s CEO Fotini Markoupolou raising investment in the US, the startup has also taken over 1,000 pre-orders since the crowdfunding campaign. Other than getting the product out, the Doppel team is still interested in hearing how people are using the device. The potential of the system includes obvious, popular use cases such as increasing focus during the afternoon slump at work without caffeine, calming down during stressful situations, setting cadence when running and winding down in the evenings. And how do we know it’s not just a gadget placebo? A further set of lab tests is planned to try measuring the wearable’s ability to calm people down who are anxious or stressed. Though Hooper admits this might alter focus as they and the experimental psychologist Manos Tsakiris at Royal Holloway (who consulted on the product) haven’t yet decided how to test this subjective feeling accurately.